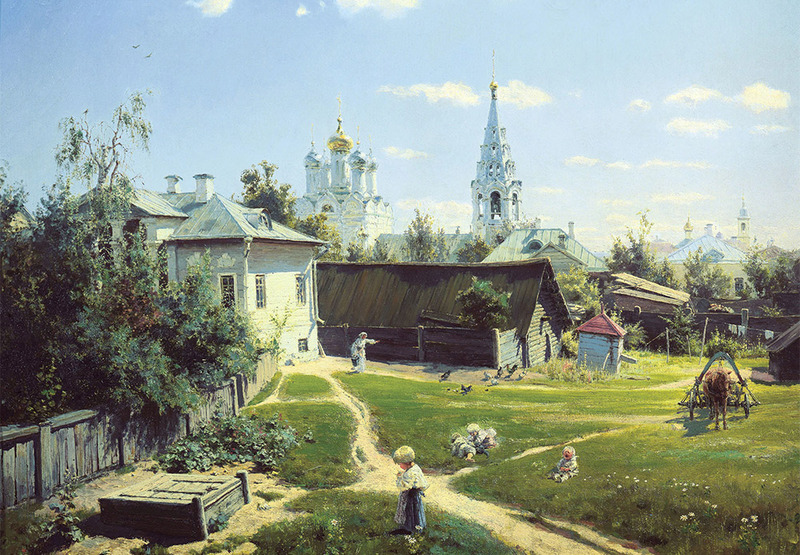 The permanent exhibition of the State Tretyakov Gallery consists mainly of Russia’s most famous paintings of the 18th, 19th and 20th centuries. 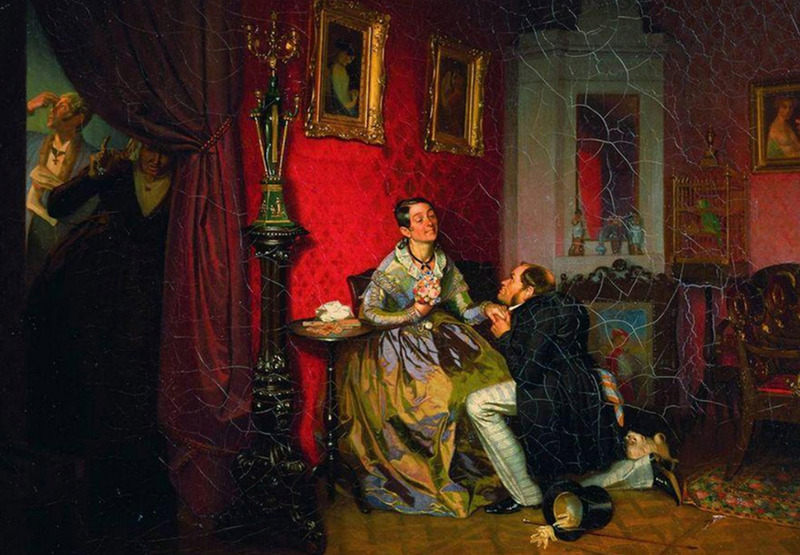 We chose the greatest works by 15 artists known to every Russian. Equestrian. 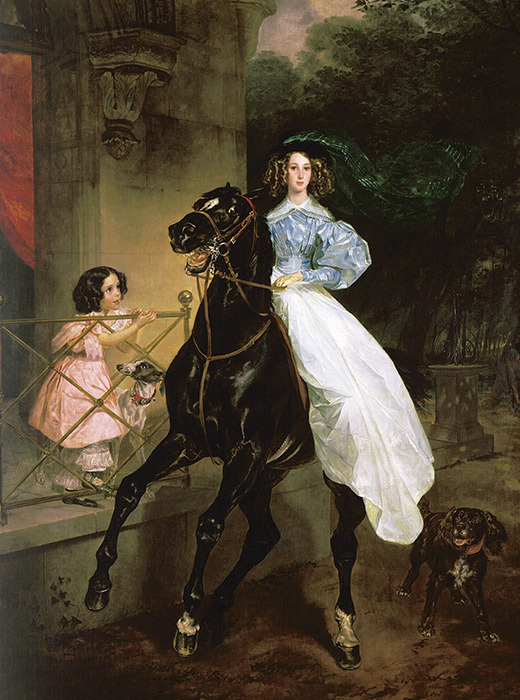 Karl Bryullov, 1832 / Equine strength conquered by simple beauty is the main motif of the picture. Golden Fall. 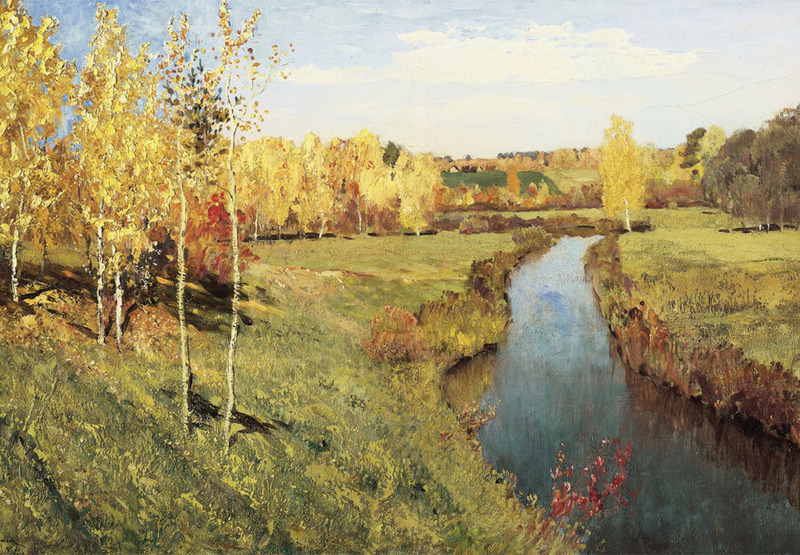 Isaak Levitan, 1895 / A very bright view combined with a free impressionist manner of painting. Portrait of Alexander Pushkin. 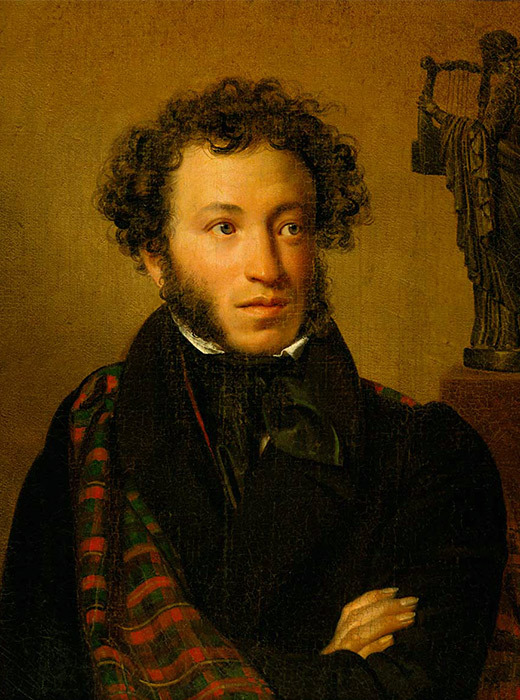 Orest Kiprensky, 1827 / Contemporaries called Pushkin the 'sun of Russian poetry'. An important detail: there is a statue of the Muse with a lyre just behind the poet. 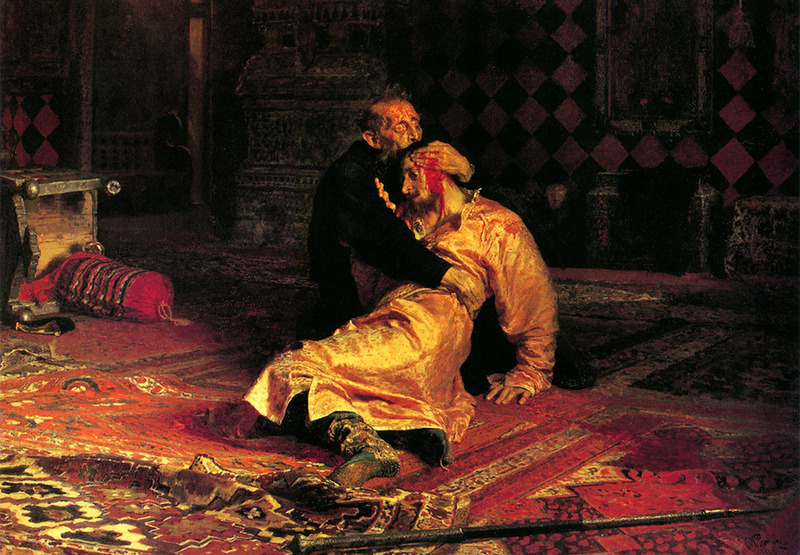 Ivan the Terrible Killing his Son. Ilya Repin, 1885 / The painting tells the story of Czar Ivan IV, who in a fit of anger kills his son. Spring, On Ploughed Land. Alexey Venetsianov, 1820s / This painting depicts the pure beauty of the archetypal Russian woman. The child in the picture is a symbol of fertility. The woman almost seems to be floating above the ground, moving slowly and gracefully. 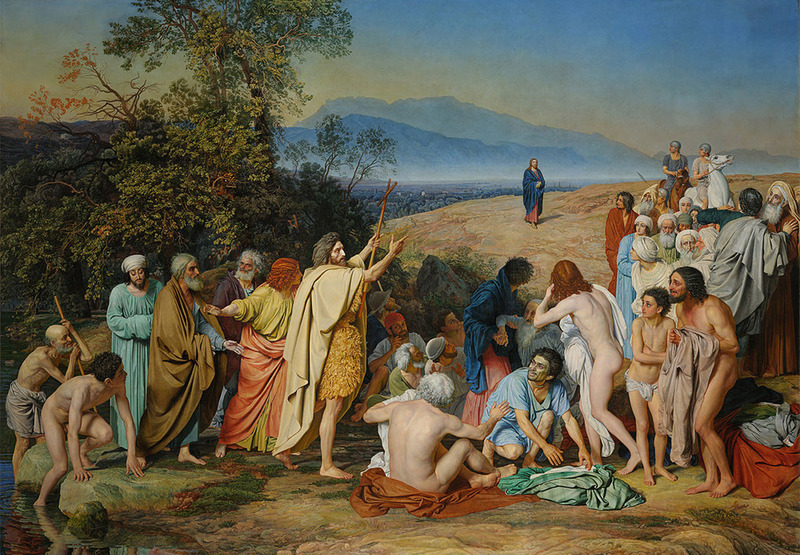 The Appearance of Christ before the People. 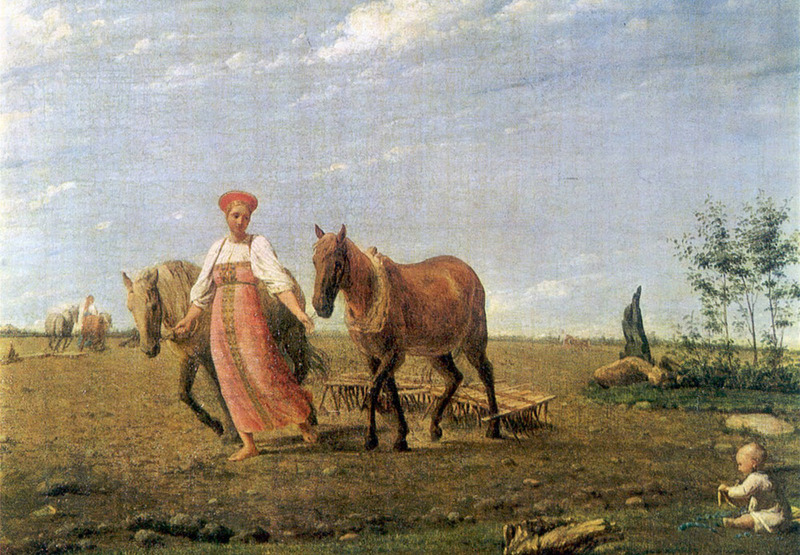 Alexander Ivanov, 1837-1857 / Ivanov described the subject of the painting as 'universal'. His aim was to depict the whole of mankind at a moment that changed its destiny. The Rainbow. 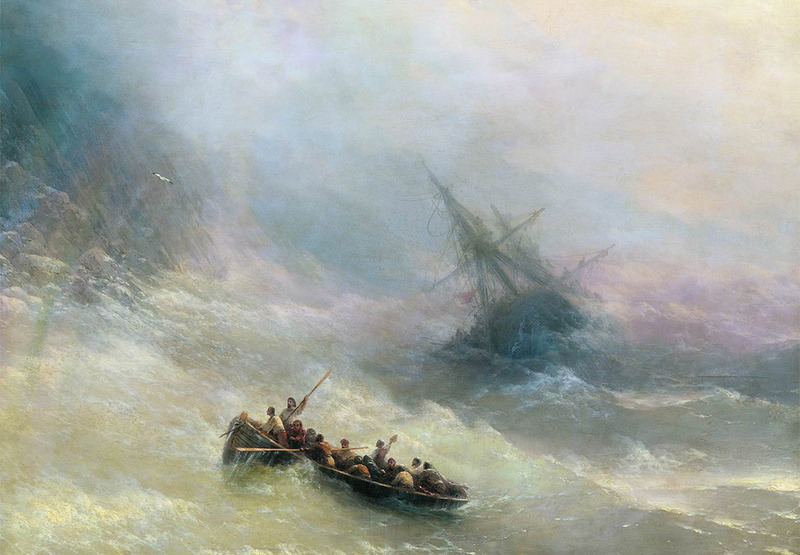 Ivan Aivazovsky, 1873 / Ivan Aivazovsky is considered the world's greatest painter of seascapes. The rainbow had special significance for romantic-style painters, who admired the beauty of nature even at times of great danger. Hunters at Rest. 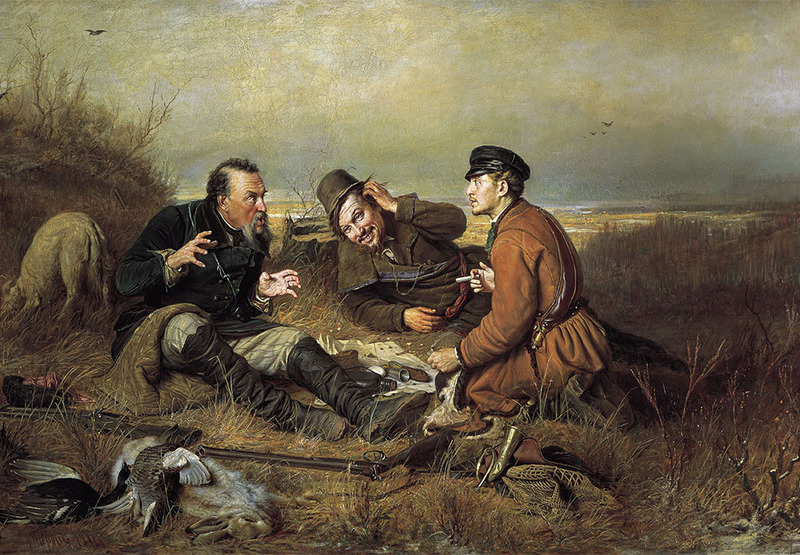 Vasiliy Perov, 1871 / Vasiliy Perov was a passionate hunter, so all his hunting themes are totally authentic. The three hunters are different: the one on the left is an old hand who likes to spin a yarn about his hunting exploits, the second has doubts, while the third is a credulous newcomer. Pine Forest. 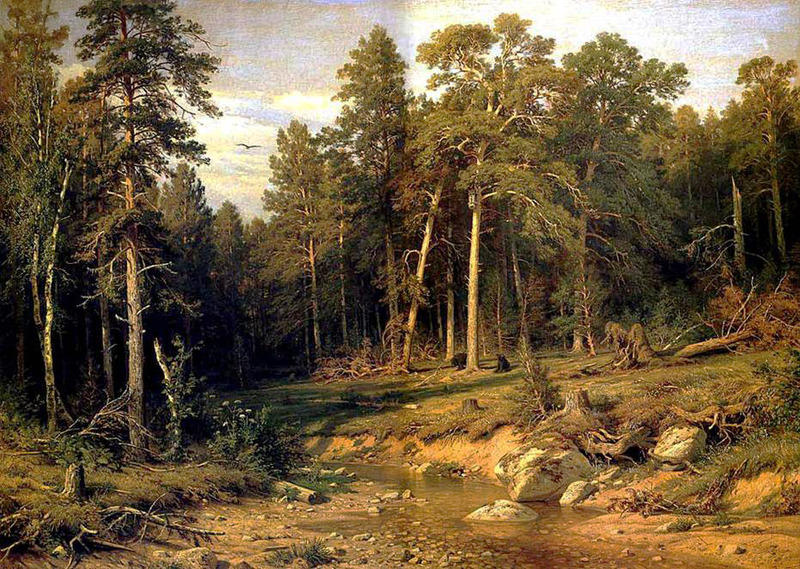 Ivan Shishkin, 1872 / Ivan Shishkin was sure that Russian nature was inseparable from Russian ideas, life and the nation as a whole. The pine forest at noon is a symbol of the country's slumbering strength. Alenushka. Victor Vasnetsov, 1881 / Alenushka is a character from Russian folk tales. 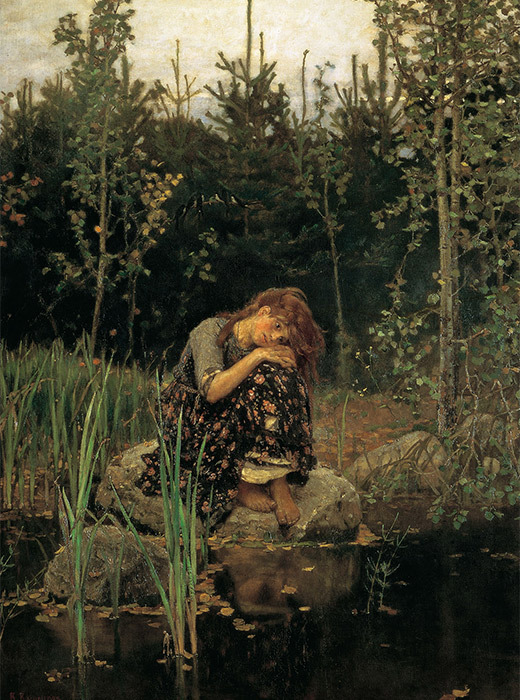 Here, she is modeled on a peasant girl and symbolizes prettiness and the silence of an obedient orphan. The Apotheosis of War. 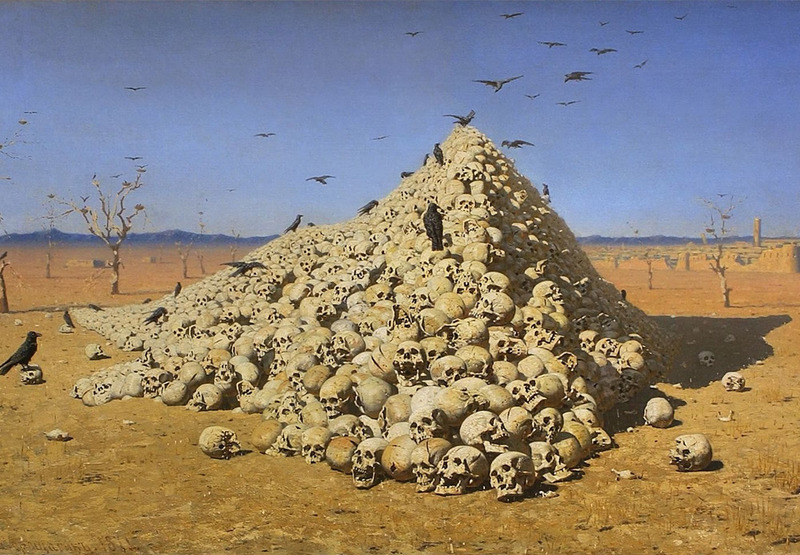 Vasily Vereshchagin, 1871 / A pyramid of human skulls conveys the destructive power of war. Unknown. 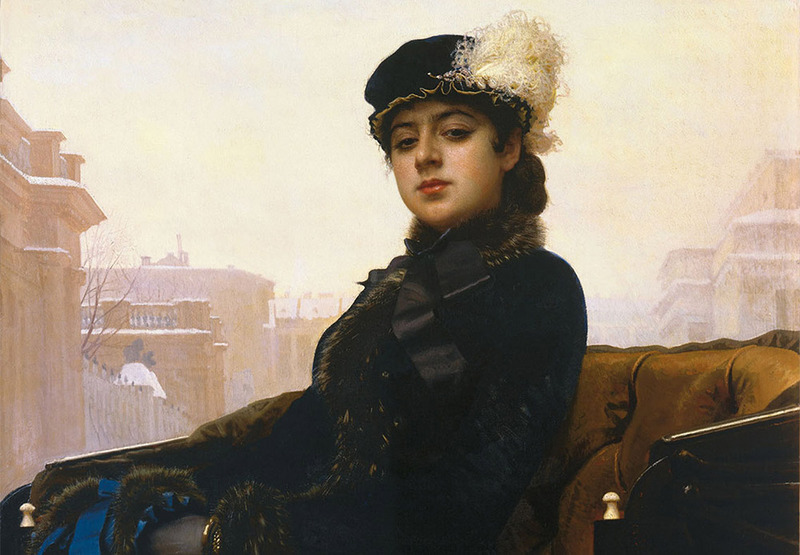 Ivan Kramskoi, 1883 / This painting of an unnamed woman is intriguing. She is not a beauty in the traditional sense, yet striking, chic and dressed according to the latest fashion. Morning of the Execution of the Streltsy. 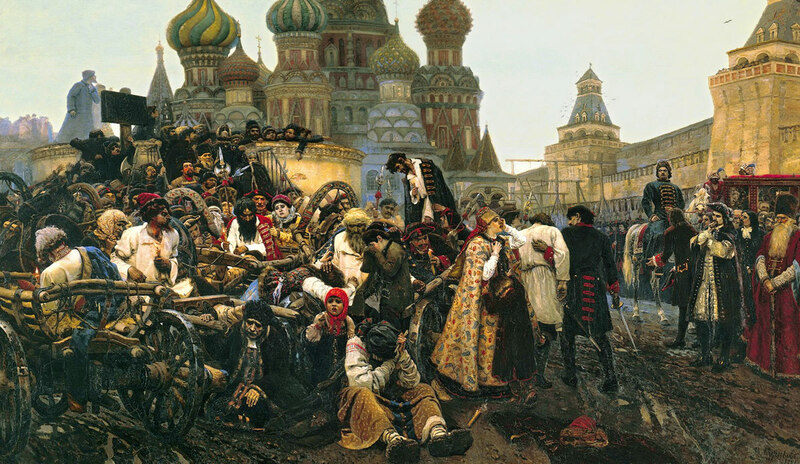 Vasiliy Surikov, 1881 / Russian Czar Peter the Great executed a group of rebels after a revolt in 1698.